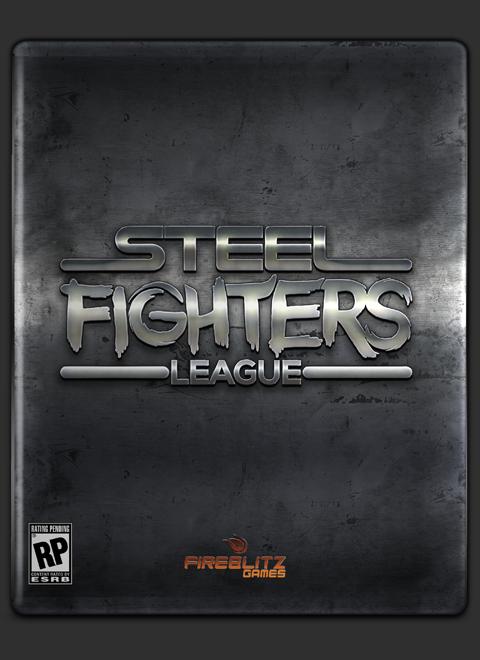 "Steel Fighters League" takes place in a futuristic era in which battle droids fight mercilessly in an extraordinary league charged with sparks, metal strikes and unprecedented action. The futuristic ambience and technological advances are the perfect excuse to be able to provide the fighters of extraordinary skills without leaving aside the realistic aspect that the video game tries to maintain. At first sight it may seem that Steel Fighters is a simple fighting or shooting game, but not further at all. The game is not only based on hitting the opponent until knocked out, the strategy is a strong point in the game as fighters can get to suffer damage that disables certain parts of their structure, in addition to having limited fuel that is reduced to less or greater amount depending on the attacks that the fighter uses and that it also increased when the fighter is not doing any kind of attack. And is in this moment when the POWER UP'S of the game comes into scene. With the use of the power up's we can recover an almost lost combat without our opponent suspecting it since WE can REPAIR our fighter, recover the fuel to 100 % or acquire special skills between other things. Also every fighter counts with a meter that is recharged as we made several attacks to our opponent and when it has been filled to 100% allows us to perform a devastating special attack! At the moment Steel fighters has different play modes, although can be possible to include new modes in the future or discard some of those that already exists. Fight against other players from all over the world to the Classic mode of Steel Figters. Combats full of sparks and metallic blows lasting from2 to 3 rounds. 6 fighters facing each other until only one of them stands up. In this mode the start health of the fighter is lower compared to other game modes. Fight against your friends at home. Enjoy the Classic mode of Steel fighters in Split Screen mode. From the Options menu you can choose whether you prefer the split screen vertically or horizontally. You and your partner must defeat 4 battle droids endowed with artificial intelligence before they defeat you, but if you are lucky enough to kill all of them, then you will have to fight among yourselves as there can only be one winner in the Steel Fighters League "Survival" mode. Face a long list of fighters in a local way to be able to obtain the claimed title of Steel Fighters. Will you be able? Leave for a moment the battle ring to undertake a unique adventure. In the "Escape-SOLO" mode of steel fighters, 8 players from all over the world enters in a huge virtual city from which they will try to escape by all means in order to reach its core, called "The Light". This core will bring back to the real world the last fighter alive, after having had to face all kinds of traps, droids and of course the other fighters since only one of them can enter the light and back to the real world. Currently the only fully available Arena in the game is the "HEX ARENA". All the Steel Fighters Stadiums are different between them, their shape can be hexagonal, rectangular, square or circular and the setting of each stage will be totally different from the previous one. The first Gameplay of a complete match of "Steel Fighters League" is already available. In the video we can enjoy a fight between two "Delta9" characters. The mode shown in the video is the local "Classic Mode" of Steel Fighters in which two players in split screen mode face off in an action-packed battle. Check out the great Delta9 golden skin! Created especially for the Steel Fighters League Kickstarter campaign.